A locally made documentary about sustainable food practices will be broadcast to local audiences next month. Vegetables at the Farmers Market.“Locally Grown: America’s New Food Revolution,” a 30-minute documentary, will air on KEET-TV, the North Coast’s PBS station, with two scheduled airings: Tuesday, Dec. 5 at 9 p.m. and Sunday, Dec. 17 at 4:30 p.m.
Simpson is also a co-founder of Locally Delicious, Inc., a nonprofit that encourages sustainable food production and is a partner in the project. Independent filmmaker and HSU film professor David Scheerer collaborated with Simpson and many local players to write, direct, and produce the project. 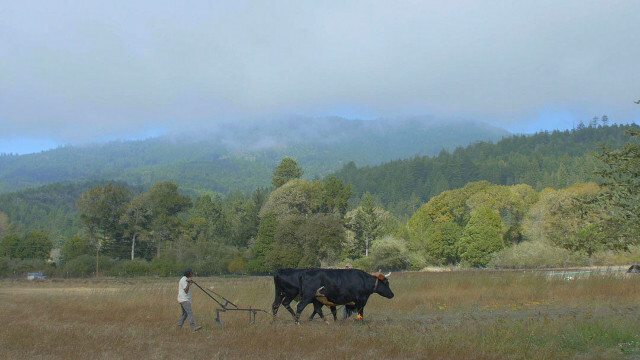 The 30-minute documentary takes viewers to the frontlines of a vibrant movement in Humboldt County where committed groups of people are striving to change people’s lives through how they grow and eat their food. Oxen at Shakefork Farms.In several vignettes, the film highlights agricultural feats from the revival of indigenous fishing techniques and the re-establishment of historic grains to cutting-edge hydroponic technologies and innovative ways to connect local farmers with food-insecure families. Local producers like John Le Boyteau’s wheat farm and American Hydroponics take viewers through their daily lives and talk frankly about the challenges and opportunities for food producers. The film’s website, locallygrownthefilm.com, features in-depth field guides to help individuals and communities get started with their own agricultural revolutions. Outlining everything from where and what to grow to potential sources of funding for community-wide food projects, the guides allow anyone to replicate the success of Humboldt County’s food system. “We’re really interested in modeling the process so others can emulate it,” says Joshua Frye, professor of communication at HSU and a co-author of the film’s field guides. The easy-to-follow Get Started guide by co-producer Suzanne Simpson takes communities through the steps to get started building food sovereignty. 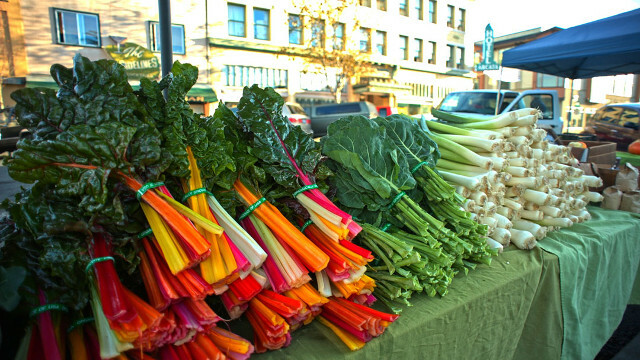 Two field guides, here and here, written by HSU social work professor Jen Maguire and anthropology professor May Patiño walk readers through establishing a local food policy council. These councils bring together local producers and consumers, like individuals, school districts and health care providers, and work to coordinate efforts. The cultural field guide by Frye and fellow professor of communication Michael Brunner takes readers through building a movement behind the food revolution, from conducting public relations campaigns to identifying opinion leaders and early adopters. Finally, the education field guide by political science professor Noah Zerbe, introduces readers to the concept of “food studies,” which gives teachers ways to approach a range of subjects through the idea of food, whether that’s food as a cultural tradition, economic issue, or political movement.